On this page you can find and download owner's manuals for such electric trolling motors as Navigator 35 lbs, Navigator 52 lbs, Navigator 55 lbs. Navigator 35 lbs Electric motor - supply voltage of 12 volts. Thrust on mooring 16 kg. Designed for use on boats with a length of 4.5-4.9 meters. Displacement up to 1100 kg. And the power of the main engine from 25 to 80 hp. 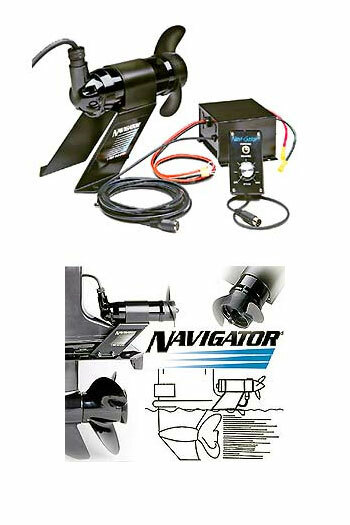 Navigator 52 lbs Electric motor - supply voltage of 12 volts. Thrust on mooring 23 kg. Designed for use in boats with a length of 4.9-5.5 meters. Displacement up to 1600 kg. And the power of the main motor from 60 to 150 hp.